DR. BILL MILLER is a physician/comedian living in a suburb of Chicago. After growing up in Los Angeles and graduating UCLA, he started performing at comedy clubs while in Northwestern University Medical School and has headlined clubs throughout the country since the 1980, with a 15-year hiatus to raise kids. Now he’s back with a vengeance. 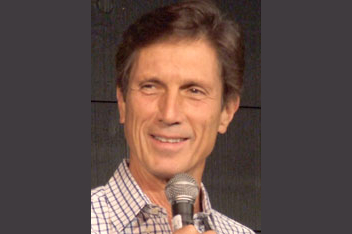 DR. BILL has been on many television shows including Showtime Comedy Club Network, and continues to work clubs and corporate events and colleges. He has a one-man show, “Doctors Are People Too” that he performs monthly at Zanies Comedy Club in Chicago, and also appears at other clubs around the Midwest.